This address looks pretty nice. And in fact it is possible to change the address of your bluetooth dongle to (00:00:00:00:00:00). But only once. 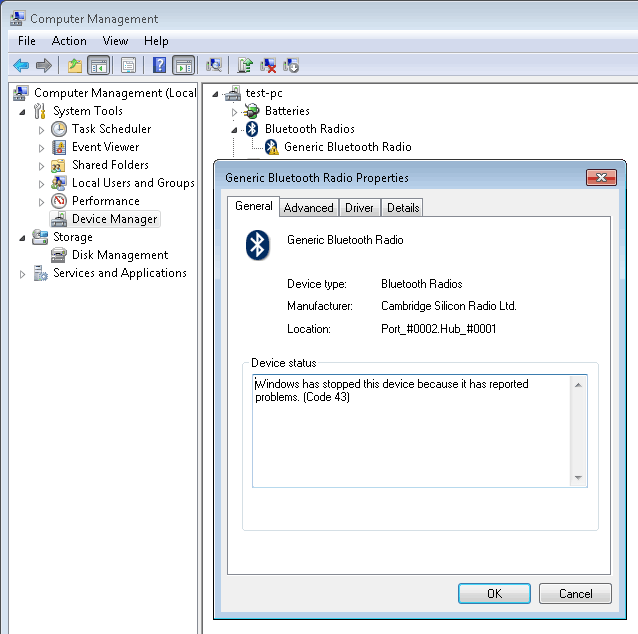 After that Windows Device Manager shows the following error - "Windows has stopped this device because it has reported problems. (Code 43)". And bluetooth doesn't work anymore. This happens because bluetooth addresses internally represented by a 64-bit integers and (00:00:00:00:00:00) corresponds to zero, which also has special meaning - no address or some error. To protect our users we have banned this address in the version 1.3 of Bluetooth MAC Address Changer.